Grab a drink with members of the Capital City GLBTA Democratic Caucus at Krewe de Gras Midtown Tavern on Monday, July 14th at 6:30pm. 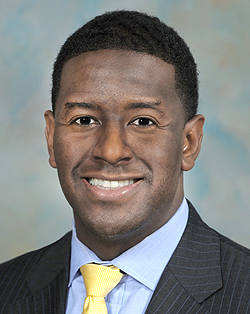 We’ll be hearing from Commissioner Andrew Gillum, candidate for Mayor of Tallahassee! We’ll also be honoring the great work of our former Vice-President, Michelle Comingore!